The kids have begged us for years to get a dog. Stuart and I didn't want to have to deal with something else making messes and tearing things up so we've always brushed them off with "maybe someday". But after some of the stress our family has been through this year, we started seeing it in a different way. Maybe a dog wouldn't be so bad. The kids are old enough to take care of it and if we wait much longer to get one then the kids will have moved out. So one day I saw a post on our community Facebook page with this picture. 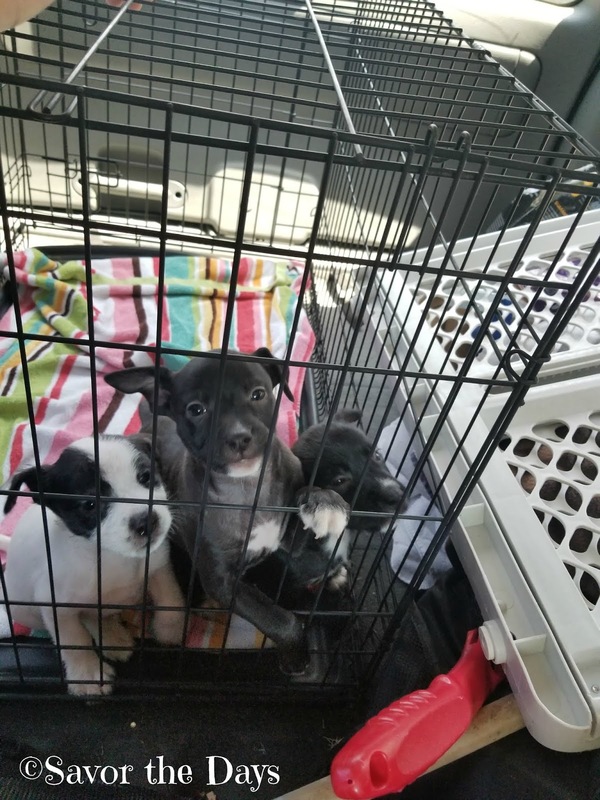 The caption read, "Anyone want to foster 3 widdle bitty puppies? Any amount of time appreciated! 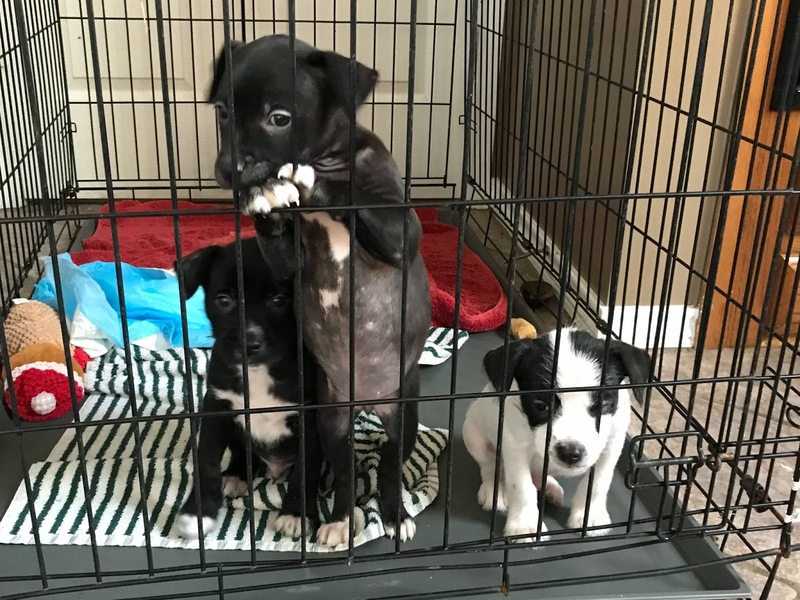 Harry, Ron and Hermione are 7-8 weeks old and well socialized. Expenses provided." I thought they were adorable and by fostering we could just temporarily try life with dogs and see if it was what we really wanted. I asked some more questions and got a little bit of information about them. No one knows about their dad. 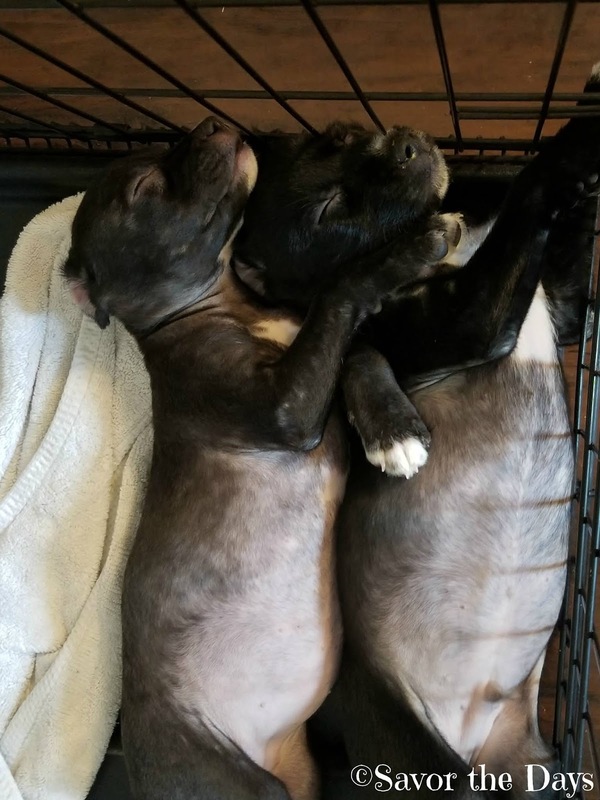 Their mom is a 25 lb. Wheaton Terrier that looks just like Benji. This is her. 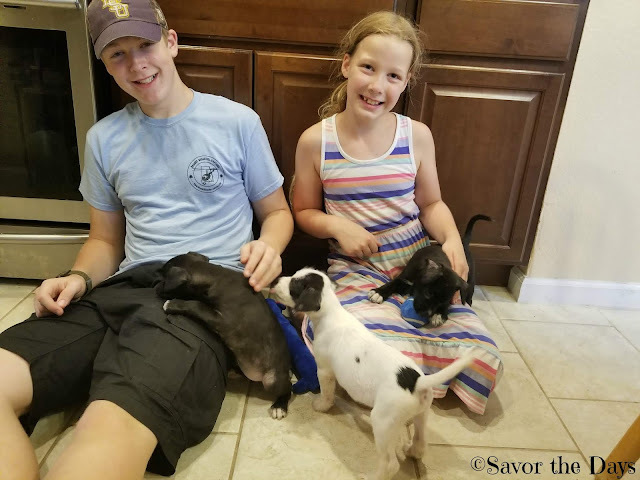 We had a little discussion and we did realize that what we might go into as "just fostering" to see how we might like having dogs but it could end up with hearts too attached to get rid of them. 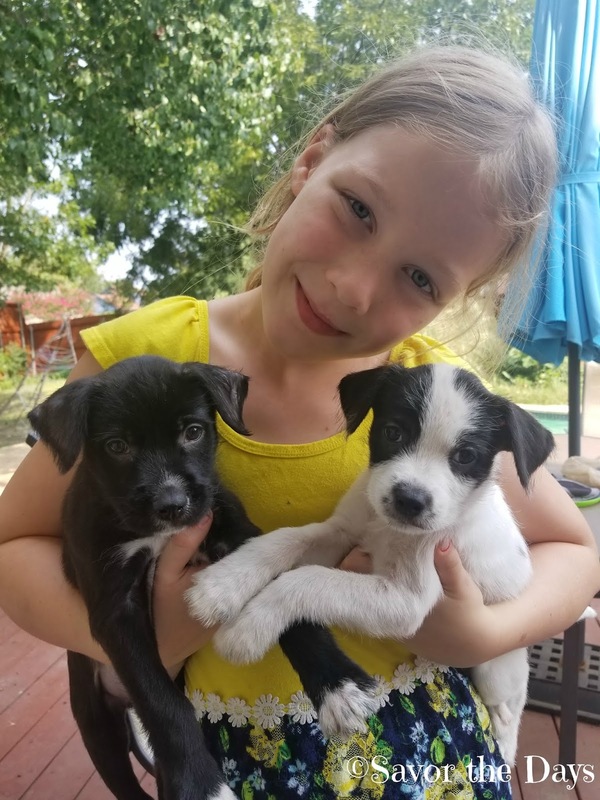 The kids and I met with the lady in charge of the rescue group and brought the three puppies home. 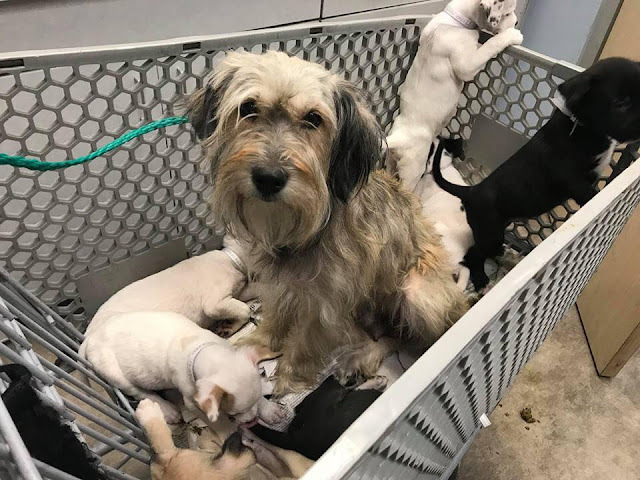 She provided us with the crate, baby gate, towels, food, treats, toys. It was going to be just a 2-3 week foster and in the mean time she would get the word out and try to find permanent homes for them when they were ready but we would get first claim on them if we wanted them. 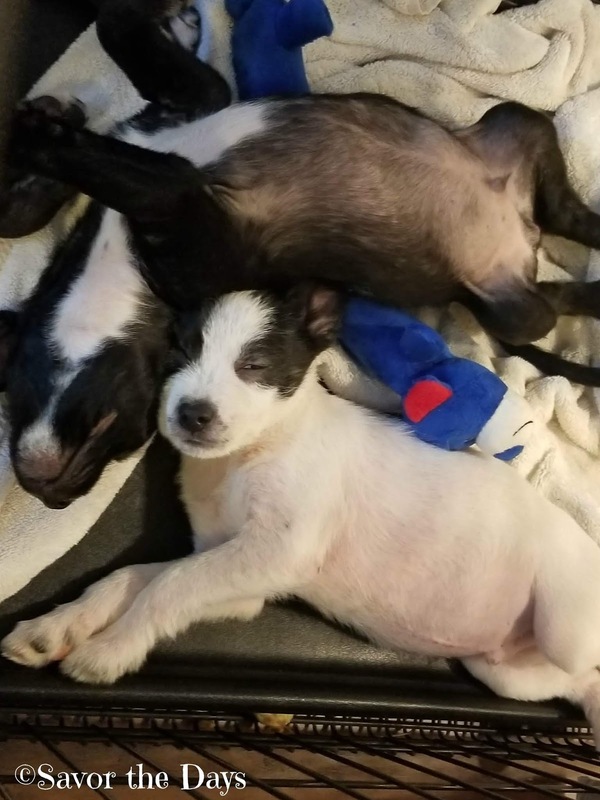 So starting with the white puppy, meet Harry, Hermoine, and Ron, creatively named for the three main characters in Harry Potter. We set up their area to be in the kitchen because, well, tile floors are easy to clean. 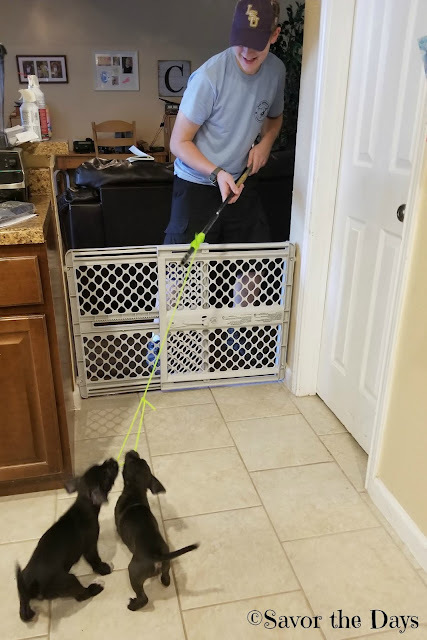 We put the crate in the hallway between the kitchen and the schoolroom to block them from getting out that way and then we put the baby gate up in the kitchen entrance at the living room. I tried to get a picture of the kids with all three of them looking at the camera. Ha! They were constantly on the move so this is the best I could get! Below is just one of many videos of their cuteness! The kids were so delighted. I felt bad that we hadn't gotten dogs before now because they have been begging us for years. They had fun playing with the puppies. Here's another video of Harry trying to play with a ball that is a bit too big for his mouth to hold! And of course we had to take them in the backyard for more adventures. They really enjoy wrestling with each other and biting toes. They are just so cute! Lots of playing and sleeping. And lots of pee too! Hermoine hugging Ron in her sleep. 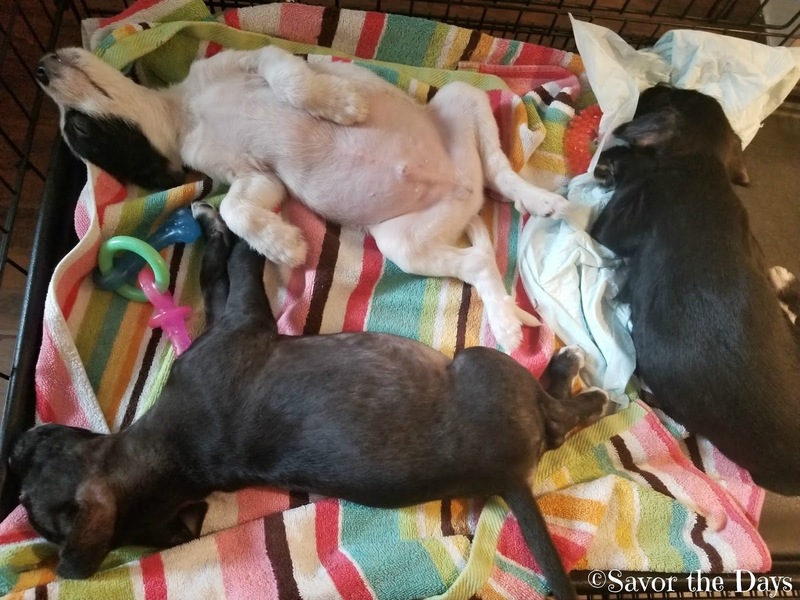 The puppies had been diagnosed with mange and had received treatment. They were safe to be around at this point but some of their fur was still thin and hadn't grown back in yet.